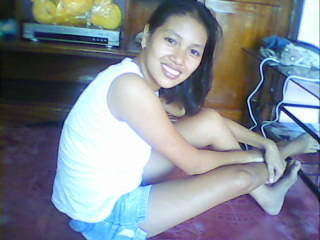 my name is Jeanie C de Jesus, 23 yrs old, I live here in Ormoc Leyte, I am married, but now I am separated. I have some questions, because my fiancee from Malaysia wants me to visit him in Libya for vacation there for 2 months. But I don't know how. He told me that I need to go in foreign ministry to translate my passport from Arabic, I don't know what he is talking about, but he only told me to translate it. He needs a copy so that I can send it back to him by email, is that okay and no problem with me to go there even if I'm married before? If they can translate my passport how much will it cost, how long can I wait to make everything okay. I need your help please for this thanks a lot and more power to all. Kindly email me your response. You could have your documents translated there. I presume your fiancée needs a copy of your passport in Arabic to process your travel visa. If that is the case, then there should not be any problem. As long you have a letter of invitation from your sponsor, I think this will not affect your travel arrangement. The Philippines government is concerned about human trafficking and if your travel arrangement is legitimate, as you have stated for vacation purpose, they will let you travel. I do not know if the DFA provide translation service. You should call them or email them about this issue.